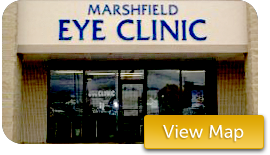 Welcome to the Marshfield and Buffalo Eye Clinics! 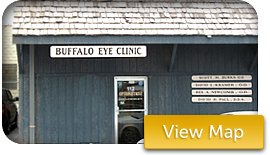 We proudly serve the Southwest Missouri area with a tradition of quality service and a friendly staff. Drs Rex Newcomb, Scott Burks, Shawn Yarnell and Yousef Ibrahim take great pride in offering every patient the absolute best in vision care—whether through fitting them with eyeglasses or contact lenses, diagnosing cataracts, treating glaucoma, and other eye diseases, or recommending LASIK and other eye surgery procedures. Our expert optometrists and staff will take the time to answer all of your questions, explain treatment options, and provide the highest quality eye health treatments available. Come visit our friendly doctors and staff! And be sure to save time at your office visit by bringing in the completed Patient Welcome Form and/or Dilation Consent Form.